We build software to make automate semiconductor design and verification. Our software helps your verification team see the bigger picture. Rather than blindly looking at waves first, engineers can search, sort, and debug simulations from a dashboard interface. Using metrics, rules, and our unique Signature bucketing algorithm, users can triage and work on only the simulations that are most interesting. Our database engine has been designed from the ground up for performance, built on a pluggable architecture, so it is ready to connect to your existing workflow. We are dedicated to making the highest quality tools that engineers ❤ to use on a daily basis. Prior to founding VerOps, Payton was a Senior Engineer at Broadcom. 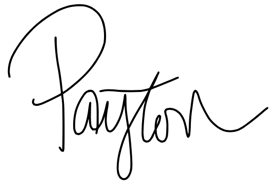 Payton has a B.S. in Computer Engineering from Texas A&M University, and has spent the past 15 years in design verification, software, and design automation, working at semiconductor companies ranging from startups to the Fortune 500.